I rather see the latter. A test should never depend on another test. This goes back to good design and decoupling functionality. Read up on orthogonality, greatly explained in the Pragmatic Programmer book. In case you are looping through a sequence what are the boundaries? If my function throws an exception for bad input what are all scenarios that exception should be thrown and not. For example throwing a ValueError for a non numeric value, are we testing more than str and int types? This was one of our first tests, assert sum_numbers() could actually go into its own test function, because it handles a separate test case! If you call an external service you probably want to mock it out (see an example here). But use mocking with caution, it might drive you away from testing the real thing (anti-pattern). Also in our case beginner Pythonistas need to understand the test code and this can make things more confusing. Apart from controlling external resources we want tests to be fast and mocking out an external API call speeds up tests. 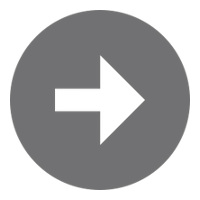 You will run your test suite over and over again so non performant tests slow down your development. On our platform we run the tests via AWS lambda which performs a bunch of additional tasks like picking up the submitted code and test file. And we have a user waiting for a pass/fail response. More reasons for the test code to be performant. In this context you also want to abstract common code into setup/teardown code, which pytest offers via fixtures (see more under 8). For some Bites we needed to pull in an input text file (AWS Lambda runs in its own sandbox). This is an example of something you'd make sure you do once for a set of tests. To recap what we wrote in our review of Brian Okken's awesome book on pytest, what are wins of pytest over the builtin unittest framework? Answer: it's less verbose (assert vs. self.assertEqual etc.) / classes are not required, it as a rich cli interface, informative test failures, a more convenient way to write setup/teardown functions with fixtures, parameterized tests, and a better test runner (marker- and name-based test selection). Our Bites of Py endorses reading test code output. as a developer you are going to read way more code than write! test failure output might require some debugging what/where it went wrong and debugging is another crucial programmer skill. Hence why coding on our platform requires you to become friends with the tests and their outputs. Luckily that's also an area where pytest really shines: it's output is very intuitive! """Should return a list of names, each name appears only once"""
output for other tests - note how a test per function makes it easier to focus on one thing at a time! We think teaching people how to read test code is win/win, but for that it's important to write isolated tests (see 1. and 2.) and have intuitive failure outputs, which pytest nails. 8. Fixtures are your friend! pytest fixtures ... are the reason why many people switch to and stay with pytest. ... one of the great reasons to use fixtures: to focus the test on what you’re actually testing, not on what you had to do to get ready for the test. Teaching pytest in our 100 Days of Code course, I got to the end of +/- 40 min dense video section without addressing them (WTF?). So I wrote this article about fixtures. Fixtures are awesome, basically any time you want to do some (repetitive) setup/teardown for a (set of) tests you want to use them. """Return a fresh new generator object for each test"""
You probably don't want to do that for this code (remember: make tests independent), but you could have database setup code that persists across a bunch of tests for example. Yep, all you need is: output = capfd.readouterr() - sweet! I hope you learned a few things about testing and pytest, at least enough to become dangerous. Let us know if you have any feedback, some valuable improvements to our tests so far has come from user feedback, we really appreciate it. And the learning never stops. Yes, writing test code is a big part of the learning, but some formal reading is useful too. So I loaded this book on my Kindle and am planning to listen to Brian's Test and Code podcast. 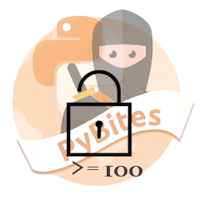 Featured in this article: our Bites of Py service - Do you want to grow as a programmer solving interesting Python challenges? Our Bites of Py have helped many programmers learn and practice more Python. We've seen them strengthen their skills and even start new careers - all while challenging themselves with our Bites. You not only get to solve interesting and relatable problems, but you also get to see how to do it in idiomatic Python. We challenge you! Click here and see if you can crack some Free Bites. Subscribe here and become a Premium member instantly unlocking our (at the time of this writing) 100 Bites of Py exercises. The key to improving your Python skills is continuous practice and PyBites makes it easy to get you into the coding habit and/or retain your existing coding muscles. Additionally, coding with PyBites gives you access to an incredible (Slack) community of passionate Pythonistas happy to share their knowledge and learn from your experience.